Shirley Ruth (Moreau) Saulnier, died on July 1, 2015, surrounded by her loving family, after a brave and long battle with metastatic breast cancer. Born on September 6, 1935 in Springfield, MA to Ada (Barton) Moreau and Henry Otto Moreau. She was predeceased by her husband Jeremiah J. Saulnier and her grandson Kevin P. Butler. Shirley was the oldest of 6 siblings, Henry Moreau of Mississippi, Ellen Moreau Miller and her husband Robert of Tennessee, Marsha Moreau Audette and her husband William of Middletown, Mary Moreau Cardoza of Portsmouth, RI, and John Moreau of Newport, RI, and her sister-in-law Theresa Moreau of Middletown. Shirley grew up in Newport and graduated from Rogers High School in 1953. Shortly after that, she met her husband and was married in 1954. Shirley and her husband traveled extensively throughout Europe and the United States wherever they were stationed. She returned to Newport with her 3 young children after her husband died in Viet Nam in 1968. Shirley returned to school and graduated in 1972 from Salve Regina College with a BA in Education and English, followed by a Master's Degree in Reading, and was later accepted as a candidate for the school's inaugural doctoral program. In 1982, Shirley was awarded a scholarship from the English Speaking Union to study at the University of London, She spent several months there learning and studying about education. Shirley enjoyed teaching throughout the Middletown School system where she taught English, Reading and Elementary grades, she was rewarded for her dedication in 2000 with Middletown's Teacher of the Year Award. She retired in 2001 after a 25 year career. Shirley was an avid quilter and Rose enthusiast. Her quilts earned her several honorable mentions in quilting shows, while her roses won blue ribbons several years in a row at the Newport Flower Show. She was a member of the Loose Threads, Quilters by the Sea and the RI Rose Society. As a lifetime member of St. Peters Lutheran Church, Shirley held many positions at the church. In the 1970's she became the first women in New England to hold a position on the Church Council, eventually serving as Council President. 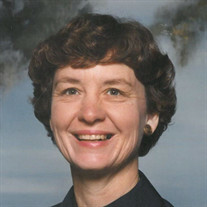 She was on the Call Committee for several pastors, served as a Sunday School teacher, VBS superintendent and founded the St. Peter's Children's Memorial Library. Shirley is survived by her children, Eric J. Saulnier and his wife Deborah of Plymouth, MA, Ruth Lynn Saulnier Butler and her husband Jay of Newport, RI, and Kimberly Fink and her husband Craig of North Carolina. Highly involved in every aspect of her grandchildren's lives, she loved spending time with them, Catherine R. Butler, Kyle J. Saulnier, Jack Fink, and Alex Fink. Shirley leaves numerous nieces and nephews. Note of thanks to Dr. Robert Legare, Director of Woman and Infants Breast Health Center. Calling hours will be held on Monday, July 6, 2015, from 4:00-7:00pm in Memorial Funeral Home, 375 Broadway, Newport. Her funeral will be held on Tuesday, July 7, 2015, at 10:00am in St. Peter's Lutheran Church, Broadway, Newport. Burial will be in Middletown Cemetery, Four Corners, Middletown, RI. Memorial donations may be made to Hospice of Visiting Nurse Service of Newport and Bristol Counties, 1184 East Main Road, Portsmouth, RI 02871 or to the St. Peters Lutheran Church Memorial Fund, 525 Broadway, Newport, RI 02840.